We’re so thrilled that so many of you are picking up on the #SexualHealthMatters conversation. It’s an important one to have, and the Patty Brisben Foundation knows how important it is for women to have those conversations. We do that by awarding grants for research and programs that advance women’s sexual health. Just this year we awarded more than $350 thousand to go toward women’s sexual wellness! And you all have been so generous in your commitment to the Patty Brisben Foundation, with Consultants raising some $136,000 during the 25th anniversary world conference earlier this year. That’s why we’re so excited that we’re bringing back the Virtual Queen Bee to raise money for the Foundation. Those of you who participated last year know that it’s a fun way to get your families, your colleagues, your neighborhood involved in a great cause. Walk or run the 4-mile event whenever and wherever you choose, and pledge to raise funds for each mile. Your donations help the Patty Brisben Foundation continue its mission of keeping the sexual health conversation going. 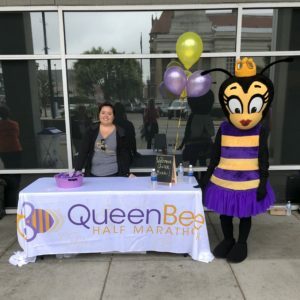 If you have not registered for the Virtual Queen Bee yet, make sure you do so and complete the four miles before our Foundation Gala on October 13. Sign up and join the fun for a great cause! And don’t forget, you can learn more about the Foundation’s work at pattybrisbenfoundation.org.